It's that time of year! Walk into most any Kroger in Richmond and you will find several large containers of Melissa's Produce Hatch Chiles right up front. There is a limited amount of time these chiles are available each year and that season is now! 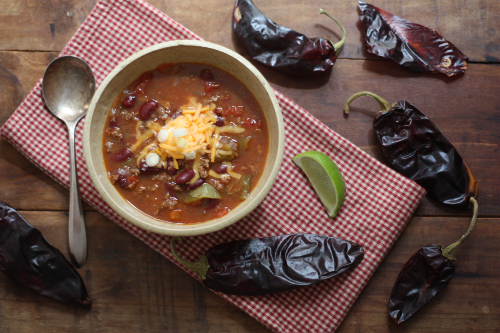 You might not be thinking about a bowl of warm chili in August but this recipe begs for the famous Hatch Chile grown in Hatch, NM — and if made in large batches it can be frozen and served as the weather gets cool, allowing you to enjoy that fresh seasonal taste through the autumn and winter. 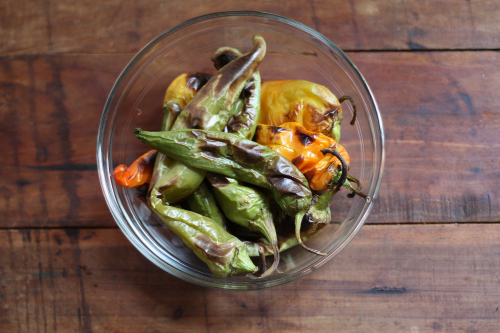 We have roasted peppers on the blog before — you remember the preserving sweet peppers for winter consumption, right? Basically, lay peppers on a cookie sheet and broil on high, rotating the peppers until black an charred on all sides. You can also do the same process on a grill over an open flame. Remove the peppers and place in bowl or brown bag to allow to cool and steam. You will then be able to peel the skin right off of the peppers. Brown the ground beef in a large saucepan over medium-low heat. Drain off the rendered fat; remove the meat from the pan and set aside. Add the oil to the saucepan and saute the onions and bell peppers until translucent, about 5 minutes. 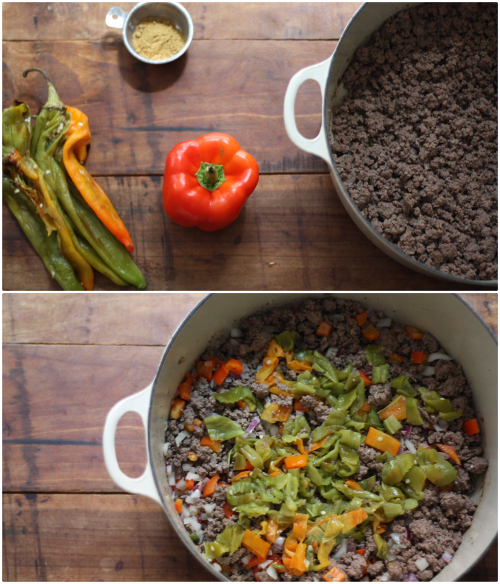 Add the chiles and browned ground beef to the pan. Add the tomato sauce, kidney beans, diced tomatoes, cumin, black pepper, and 4 cups of water to the pan. Bring the chili to a boil, then lower heat and simmer until thickened, about an hour, Season to taste with salt before serving. I like to top my chili with sour cream, sharp cheddar, and diced green onions! This is a great one pot meal to serve during the big game on Sunday! 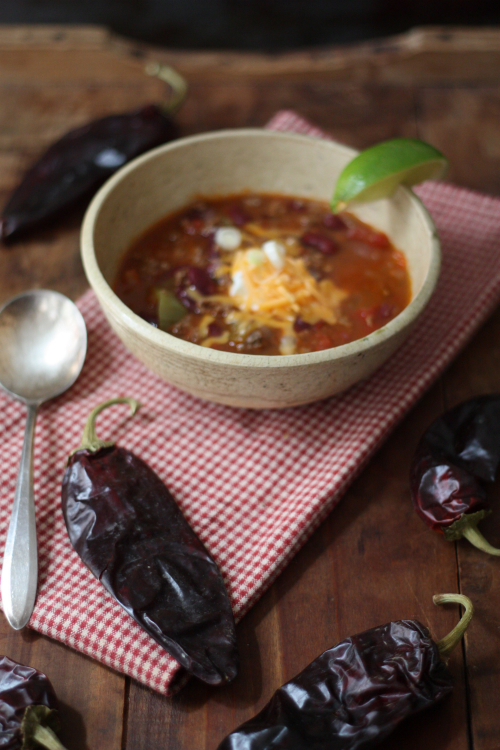 This chili recipe was sourced directly from the Melissa's Hatch Chile Cookbook which is available now at Kroger grocery stores in Richmond and Virginia Beach. 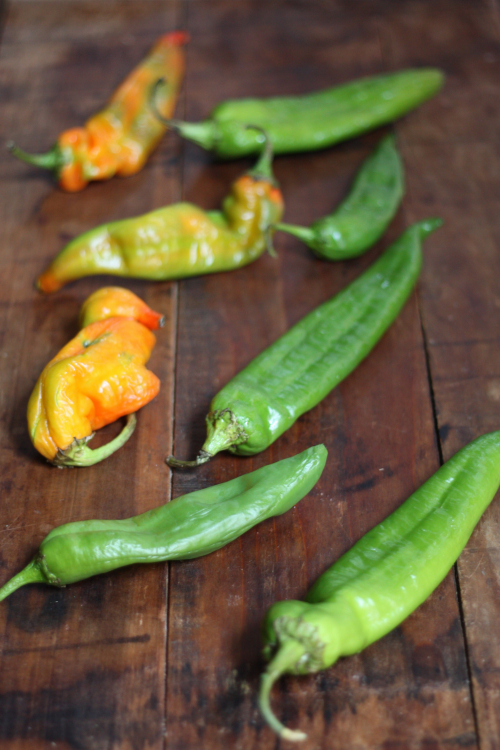 The other beautiful thing about these chiles is how well they preserve. You can roast them now and freeze them for use all winter. If you still feel August is not chili month then visit any of the 3 stores below over the upcoming weekend to pick up your chiles and have them roasted on site or bring them home! Produce and the cookbook for this recipe were supplied on behalf of Melissa's. Learn more about this produce company here and thank you for supporting the sponsors that help make E.A.T. possible. How topical...after just coming back from Colorado where Green Chili made with green chile peppers is a pretty common dish just about anywhere, I can't wait to try this. (They used pork instead of beef.) You can be sure I'll be making a stop at Kroger's tomorrow to get the special Hatch chile peppers before they're gone! I think I'll take your advise and try to preserve some for the winter, too. Thanks for sharing, Tim!! Welcome back and sounds like a great trip. Yes, I got a case of these chiles and just had a big old roasting party Tuesday night around the weber. Once charred and peppers cooled the skin came right off. Into bags and in the freezer they went. I will be posting a tutorial on Monday. I need this cookbook. 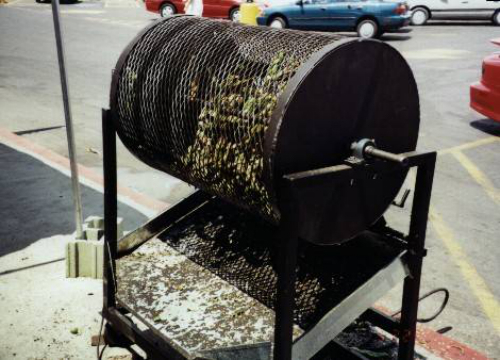 One of the advantages to living in the southwest is that this time of year there's a chile roaster at the farmers' market every weekend so you can stock the freezer for winter. 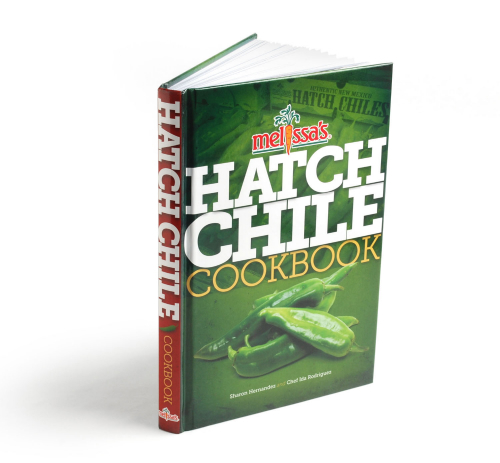 Plus I am headed to Hatch tomorrow for my first visit to the Hatch Chile Festival...I am soooooo excited! That would be so fun to have at a farmers market. We certainly do not have that here. So excited for you and the hatch chili festival! Have fun!